Durable Technologies was formed in 2011 when industry leaders Durable Mecco of Franklin Park, IL and VisiMark, Inc. of Worcester, MA combined to form one of the nation’s premier authorities on custom part marking and identification solutions. Durable Technologies manufactures and supplies a wide selection of traditional marking tools for industrial part marking, package date coding as well as hot stamping and branding applications. We service a wide cross-section of industries including, but not limited to, aerospace, automotive, metal fabrication, forging, defense, firearms, food and beverage, pharmaceutical, medical, and jewelry. Our multi-plant manufacturing locations in the East and Midwest offers a national presence and provides for workload leveling and catastrophic backup in order to ensure uninterrupted, consistent service to customers. Our manufacturing methods have evolved over the years from manual engraving to the use of cutting edge technology in order to maintain best-in-class quality and service levels. 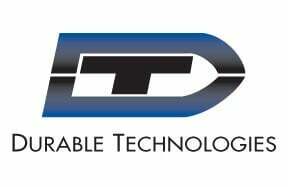 Today, Durable Technologies has become a leader in its industry. We continue to strive to increase the value of our products and services to customers across all industries. We will recommend the most appropriate and cost effective marking method for your custom marking application. Call us today to experience The Durable Difference!! Durable Mecco began as Durable Engravers and was formed in 1952 in Chicago, Illinois as a manufacturer of traditional marking products including steel stamps and metal coding type. The company has since broadened its scope and manufacturing expertise by investing in employees, new equipment, and through numerous acquisitions such as Quality Die Company of Chicago, IL and Fredricks Marking Products, also of Chicago, IL. In 2006, Durable Engravers acquired the former Mecco / M.E. Cunningham Company of Pittsburgh, Pennsylvania, who for over 100 years was a leader in indent marking technology for heavy duty industrial applications. The newly formed Durable Mecco combines the breadth of manufacturing capabilities and technical expertise of Durable Engravers with the specific product and application expertise of Mecco / M.E. Cunningham Company. Together, a powerhouse has emerged in the marking and identification field. VisiMark, Inc. was formed in 1985 in Worcester, Massachusetts specializing in the production of steel stamps, brass and steel coding type, hot stamping dies, as well as part marking and mold engraving. Through numerous acquisitions including Ideal Engraving of Orange, NJ and A.D. Joslin Manufacturing Company of Manistee, MI, VisiMark has substantially increased the company’s product scope and manufacturing expertise. Today, VisiMark is the nation’s largest manufacturer of replacement OEM package date coding type.